At our Garage in Brownhills, we can supply and fit most makes of tyre. We offer a FREE fitting service for cars and vans. You can give us a call on 01543 452067 to see if your tyre is in stock today, if not, we can always get it in for you within an hour. Whatever vehicle you drive, from a small city car to a large van, they all have one thing in common; the tyres are the only part in contact with the road. It is therefore crucial to ensure that they are in good condition as poor condition tyres can be dangerous, illegal, waste fuel and invalidate your car insurance. 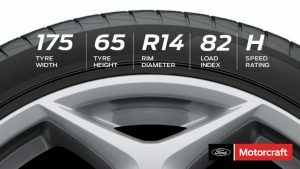 The legal limit for minimum depth of the tread on your tyres is 1.6 millimetres, across the central ¾ of the tread around the complete circumference of the tyre. It’s important that you check your tyres on a regular basis and change your tyres well before they reach the minimum 1.6mm thread. More reasons to get your tyres from Golds Garage in Brownhills. Our aim is to make purchasing the correct tyre, at the right price, as simple as possible. See the table below for some of our tyre prices (more sizes and brands available).